Download CBSE class 12 Syllabus, solved Sample Papers, Chapter-Wise Solved Test Papers, Key Notes, Last Year Papers, Important Questions. 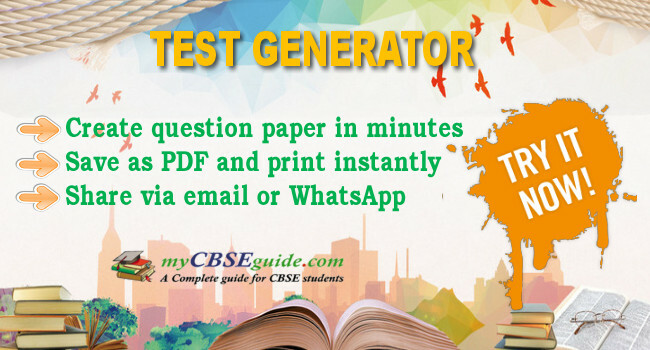 Download CBSE question papers in PDF format for free. This download section includes study material and question papers for CBSE class 12 Science stream, Commerce stream and Humanity stream. Download in PDF CBSE solved Sample Papers, Previous year papers, Chapter-Wise Solved Test Papers, Key Notes, Last Year Papers, Important Questions, and latest News updates for CBSE Class 11. CBSE class 11 NCERT solutions for Physics, Biology, Chemistry and Mathematics, History and other arts and commerce stream are available to download. Download SA-1 and SA-2 Solved Sample Papers, CBSE Test Papers, exam ready Notes, Important Questions and value based questions for CBSE class-10. myCBSEguide provides practice papers and free online tests for Summative assessment-1 and Summative assessment-2. Download questions and answers for CBSE class 9 Science, Social Science, Mathematics, Hindi and English. CBSE exam revision notes, chapter summary, very important papers, guess papers and NCERT solutions. Download CBSE chapter-wise test papers and unit tests for SA-1 and SA-2 for free in PDF format. Downloads for class 08 includes syllabus, question papers, and last year papers. CBSE syllabus and printable worksheets for class-8 are made available for FREE download in English, Hindi, Mathematics, Science and social science. Downloads for class 07 includes CBSE printable worksheets in PDF format, ten year question papers, notes, NCERT solution for each and every chapter for FREE download in Mathematics, Science, Social Science, Hindi and English. The study material is prepared by team of expert teachers at myCBSEguide.com. CBSE class 6 NCERT solutions, exam papers, chapter notes, lesson summary, and syllabus for present session. Downloads for class 06 includes CBSE printable worksheets for English, Hindi, Science, Mathematics and social science. All these files are are available for free download. Download CBSE Class 05 worksheets, Assignments, Unit test papers, Formative and Summative assessment assessment papers, class tests and other downloads for CBSE class 5 students as per the revised syllabus issued by CBSE. Download CBSE Class 04 study material in form of PDF files. 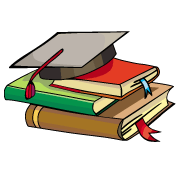 This section includes all main subjects and all important concepts given in CBSE class 4 text books and NCERT books. CBSE class IV printable worksheets, notes, summary, previous year question papers and other study material is available for free download. Download CBSE Class 03 worksheets, Assignments, Unit test papers, Formative and Summative assessment assessment papers, class tests and other exam related material for free. CBSE class III printable worksheets in Maths, Science, Evs, English and Hindi in PDF format are updated regularly. Download CBSE Class 02 printable worksheets, exam assignments, Unit test papers, Formative and Summative assessment papers, class tests and other downloads for CBSE class 2 students. It includes NCERT solutions and CBSE course material for class-2. Download class 01 subject English, Hindi. Mathematics, EVS syllabus, question paper, revision notes, videos and many more. Through our website you can browse all the important things without any hassle. Download worksheets, Nursery rhymes, games, printing toons, videos, study material for nursery and pre-school kids. KG rhymes for English, Hindi, maths EVS. Download coloring pages for kids studying in pre schools.